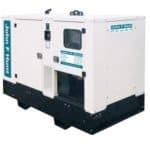 Our generators have 20, 40, 60, 100, 160, 200, 300, 500, 800, 1000, 1250 kVA power output. They are reliable, tough and silent. 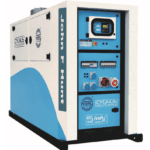 We have the classic John F Hunt Power silent diesel generators range but also the Cygnus 3 and 4 hybrid ranges, designed to save your fuel bills. Don’t know which generator is better for you? Read our article here to find out more the different solutions we have available for your site.